However this post isn’t about the UFC (I could write an entire post on the event but that’s not really what this blog’s all about!) 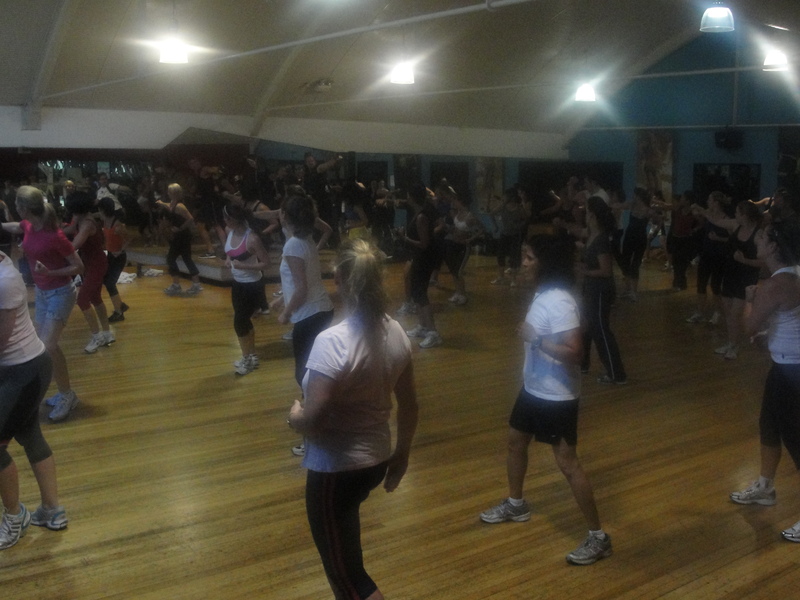 – I wanted to write a brief post on a BODYCOMBAT class I attended in Sydney, and had the pleasure of team teaching. A picture tells 1000 words so I’ll post a few below – and again if you wanna see more take a look on facebook. 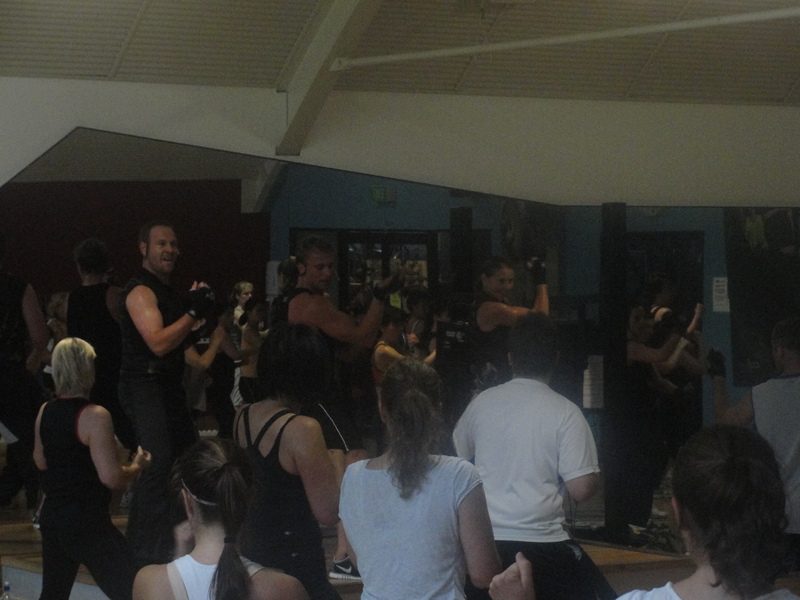 Wendi & Ray thanks so much for having me, was a pleasure and please tell your class how much I enjoyed it – you all rock! 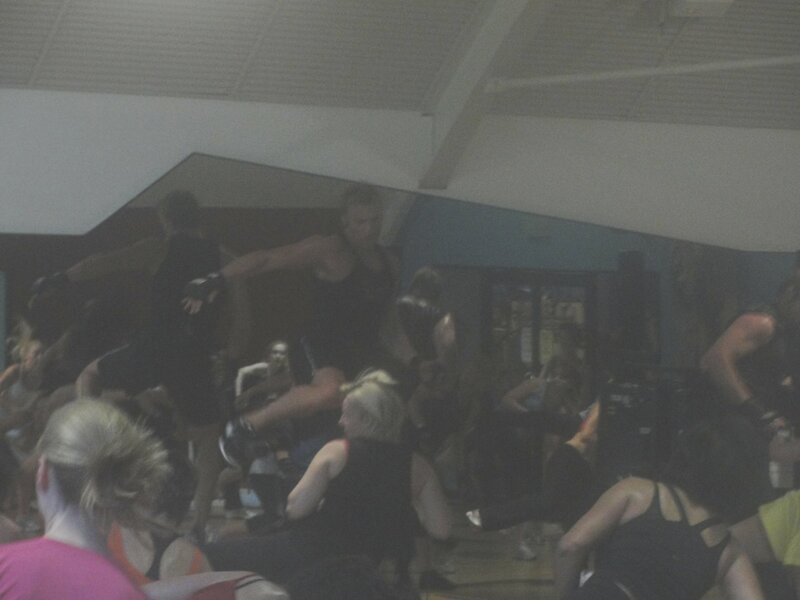 Apologies for the lighting - needed a fast shutter speed to catch the kick! 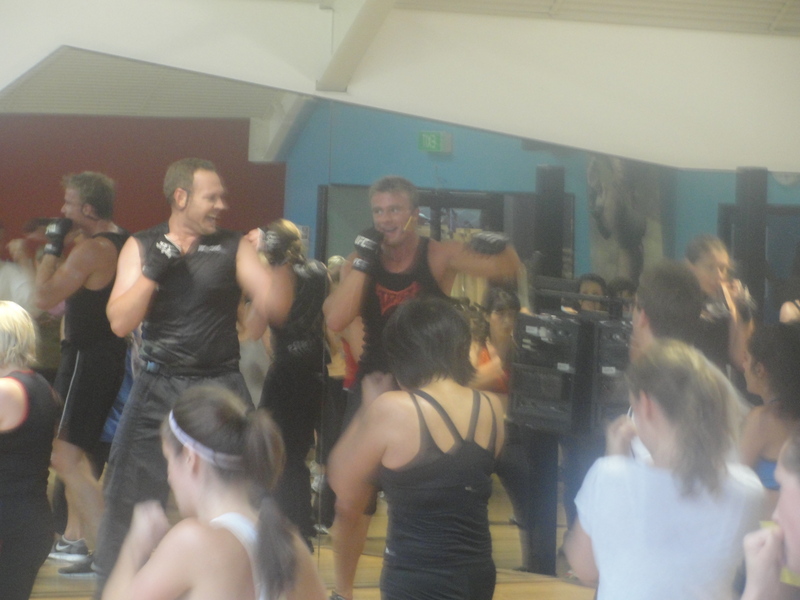 The crew at Fitness First St Leonards - get along to this class if you can! 5 Responses to "Trip to Sydney"
wow, great, awesome, Glen! You’re like a grown up harry potter like master combatter, getting invited and roller coasting through a magical class…wielding your excalibur sword or pirate’s sword??/! :)…cool pictures…yeah couldn’t agree more with you….love instructors who push you, giving their all and making the class a M-A-S-T-E-R-P-I-E-CE..WITH KIA ALL THE WAY…they electrify the class and we become like bay-combat-watch babes all drenched..:)…great to hear that from you! hu hu! Haha thanks Reggie! They launch BC43 this week too so no swords in that class either! Lucky Stacey was in the class, there were a few girls who were going to kidnap you I reckon!